Balanced Wines Simply Taste Good! We are committed to producing limited quantities of highest quality Napa Valley wines available through our Allocation List, Collectors Club and at selected restaurants and wine shops. 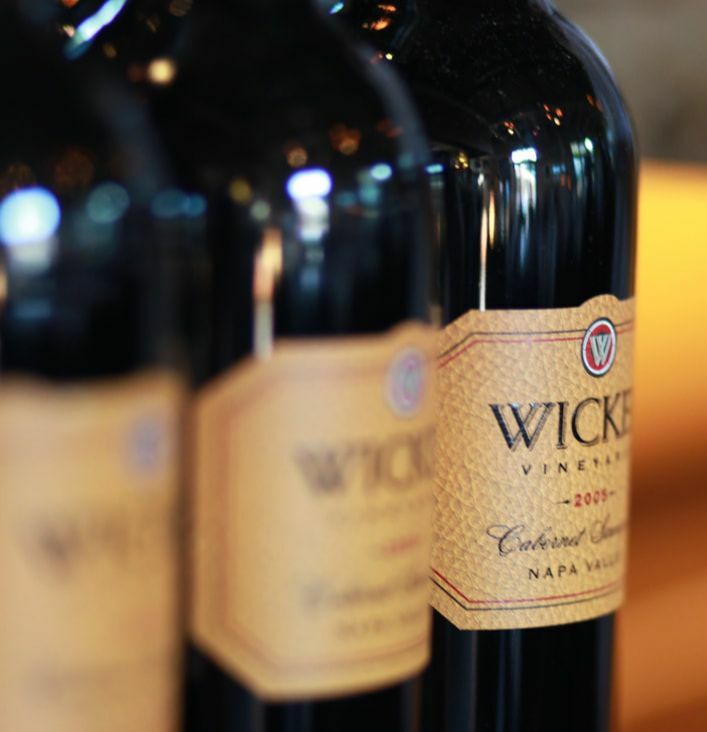 Wicker Vineyards Cabernet Sauvignon is produced from our vineyard located on the western slopes of Howell Mountain overlooking Napa Valley. Aged 18 to 20 months in French oak, we are holding these incredible wines for release until they start to open up in the bottle. 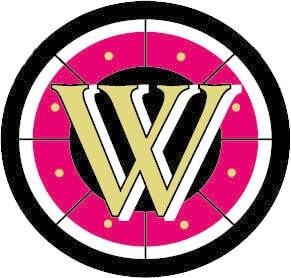 The WOW! exclamation when tasting our late released Cabernet for the first time is a testament to the vineyard, the skills of our wine making team, and to the extended time in bottle. These complex and silky textured Cabernets will delight your senses with the fullness of ripe black fruit flavors and a potpourri of aromas from tea leaves, sweet clove, orange peel, mint, cocoa and leather. The long sweet finish will leave you longing for another sip. Our Cabernets exhibit an elegance not often found in Howell Mt. wines. Our Chardonnay, first produced in 2010 is from a small vineyard in the cool southern end of Napa Valley. 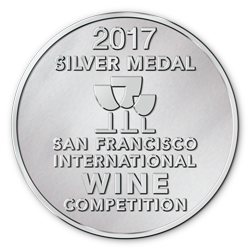 Not fans of overly oaked, buttery Chardonnay, we sought a style that was crisp and clean but with a richness not present in pure stainless steel fermented wines. The result is a Burgundy style wine unlike most Napa Chardonnay. This wine will reset your palate for Napa Chardonnay. The excitement and success of our initial 2001 vintage has carried forward as we work our way through our second decade of producing outstanding wines. We think you will enjoy them. We believe our wines should be mature enough for you to enjoy when we release them. These current release wines will delight your palate with mouth watering flavors, expressing themselves as only wines with proper bottle aging can do. Enjoy! In 2009 we made a Chardonnay for fun with excess fruit from a vineyard in southern Napa Valley that I had planted some twenty years before. Everyone we shared it with the following summer said "You need to make this wine." Our first Wicker Vineyards Chardonnay was produced in 2010 to create a wine we liked to drink, and sold out in a couple of months. Our cool climate fruit from southern Napa Valley is barrel fermented, half in new French Oak and half in stainless steel, stirred on the lees three times a week, with no malo-lactic fermentation . The result is a Burgundy style wine that is bright and crisp up front, rich on the mid-palate, with a clean, lingering finish. This wine will reset your palate for Napa Valley Chardonnay. A very dry, cold January and February ushered in 2013. March warmed up, with our bud break early in the month. The drought continued in 2013, with only twenty-five percent of our normal rainfall. The year ended up slightly warmer than the cool 2012 vintage, but produced stunning wines. 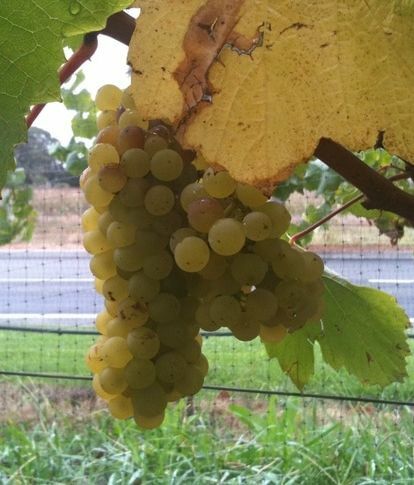 Our 2013 Chardonnay has mouth watering acidity and minerality on the palate. It is bright and crisp up front, rich and full on the mid-palate, with a wonderfully clean finish pulled together with just a hint of French Oak toast. This is a Chardonnay you can drink on a hot afternoon, or with the finest meal. It is the perfect balance of fruit, acid, minerality and a hint of oak. It tastes like Chardonnay...What a concept. 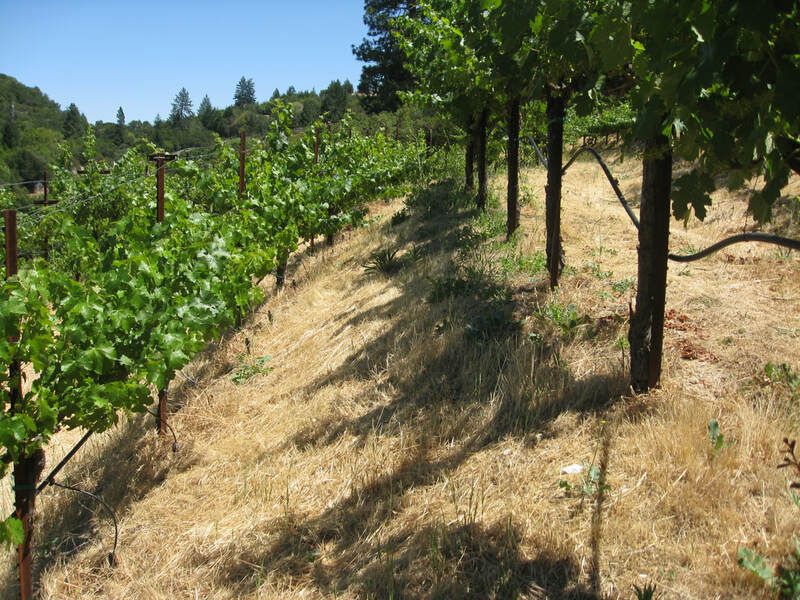 Our Estate Vineyard on the slopes of Howell Mountain is one of the only vineyards on the eastern side of Napa Valley with a northern exposure. As Ron says, "With its combination of soils, slope, exposure and elevation, it is simply one of the finest places on Earth to grow Cabernet". The steep, terraced site allows a long, slow ripening season, preserving natural fruit acid and developing naturally ripe fruit flavors. The complexity of our north facing slope in some years requires multiple picks to assure fruit is taken in at its optimum. In the winery, our 100% Estate Cabernet is fermented to extract silky tannins and preserve the wonder of Howell Mountain fruit characters. Barrel aged about 20 months in French oak, these wines develop the perfect balance of fruit, acid, tannin and oak. These wines will make you salivate. Dense and lush, the 2008 vintage was a very short crop, with spring frost damage and rain during bloom limiting our production. Fermented in open end French oak barrels and punched down by hand, I was struck early on by the complexity of the fruit extraction, and by how soft the tannins were. This wine was slow to open up, but so worth the wait. 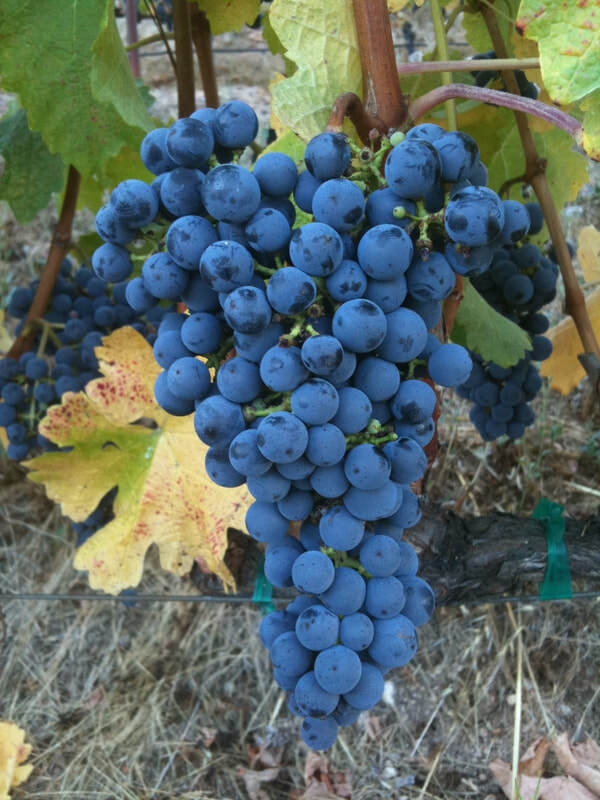 It is complex, ripe and luscious with all the dark fruit characters you love about Howell Mountain fruit. Black cherry, blackberry, cassis, dried herbs and tea leaf in a wine that is so well balanced it melts on your palate. 2008 will go down as one of our favorites for years to come. Released before the 2006, this wine is still juvenile and rambunctious. 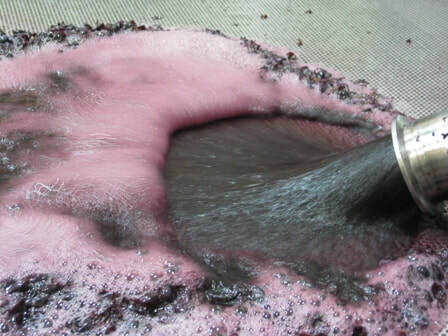 It continues to develop in the bottle, with fresh herb, raspberry and blackberry characters. The subtle hint of new French oak extends this wine into a silky, long finish. 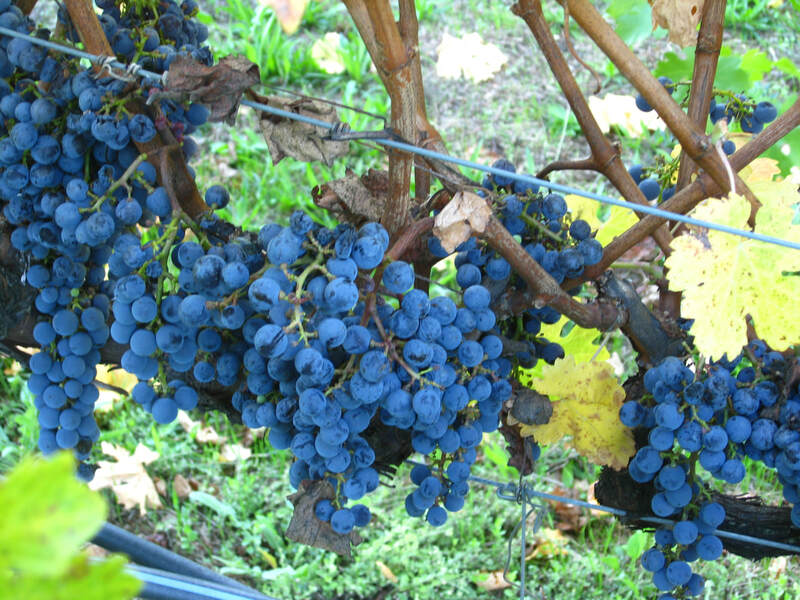 Our 2006 Cabernet was not released until after the 2007. We don't seem to do anything the way the rest of the world does. It just wasn't ready, but has now opened up nicely. Lovely black fruit and tea leaf characters. Hints of leather, cigar box and pencil lead. Lush and supple with a hint of French oak on the finish. Makes you want another sip. This late harvested, Port style wine will be the perfect encore to your evening meal or relaxing sip in front of the fireplace. Fruit driven, it is neither cloyingly sweet at 8% residule sugar, nor overly alcoholic at 18.5%. Fortified with incredible high proof brandy, barrel selected from the distillery at Germain-Robin, it has layers of ripe fruit and chocolate with a wonderful Congnac-like undertone. As with all our wines, balance is the key to the approachability and ageability of this superb bottling. Made in limited quantity in selected years, our first vintage from 2006 is sold out. Our next opportunity, 2011 is just starting to show its complexity and vibrancy. This YUMMY wine will continue to develop for years to come, but with only 38 cases produced, this wine will soon be gone. We are continuing to make limited quantities of our older vintages available. These wines are aging with amazing grace, and are a real treat in today's world of three year old Cabernet. Limited quantities of our 2005 Cabernet are still available as one of our Library releases. 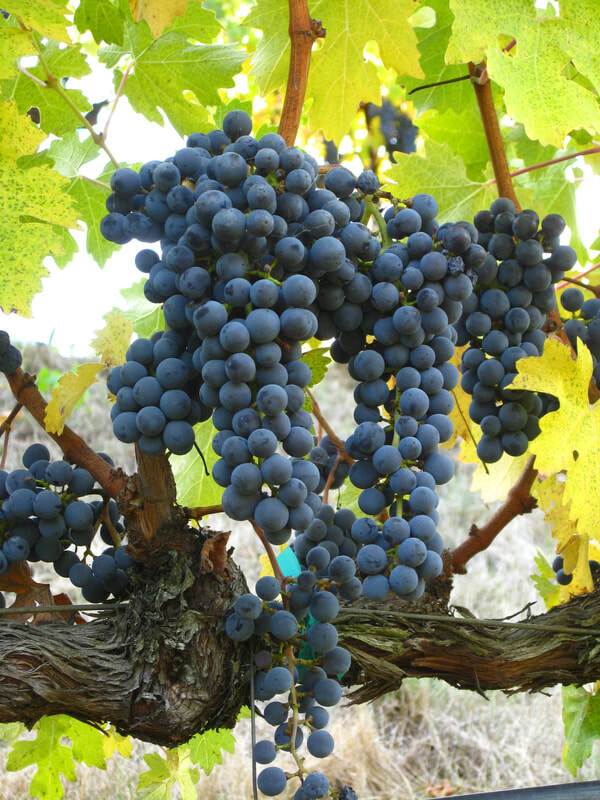 Deep, rich and full of ripened fruit flavors, our 2005 Cabernet will delight your palate. Rich with black fruit characters, this wine shows the lushness of our 2003, with sweet aromas of cedar, cigar box and dark fruit. As expected, this wine finishes with a long sweetness that characterizes our balanced wines. The new comer to our Library, 2004 continues to evolve in the bottle. Rich, complex and restrained, the 2004 was released a year after our 2005. Much like the 2002, this wine was slow to open up, but the wait was worth it. Deep and lush, this is a powerful wine that has developed a smooth, creamy texture on the palate. The deep, bright garnet color gives you an early glimpse of what to expect. Rich black fruit aromas continue to evolve as this wine sits in the glass, followed by soft, silky fruit tannins on the palate. Balance is the key: fruit, oak and acid in perfect harmony for a solid structure, creamy rich mouth feel and a lingering sweetness on the finish. Rich, deep flavored, ripe fruit gives the 2003 a full, creamy mouth feel with that soft, silky tannin structure that characterizes our Cabernet. Aromas of black fruit, cassis, tea leaves, and cocoa brought forward by a rose petal richness. Very rich on the palate, with a long, silky sweet finish. You won't want to miss this limited Wicker vintage. Very limited availability from our library selections. This wine continues to evolve in the bottle: "This is my NEW favorite vintage" is an expression we are hearing a lot recently. Initially restrained, our 2002 is a powerful wine now showing the floral, black fruit nose of the '01. Deep garnet color, big chewy mouth feel with a soft, silky texture, ripe black fruit flavors and a potpourri of aromas from tea leaves, sweet clove, orange peel, mint, cocoa and leather. The long sweet finish will leave you longing for another sip, and asking yourself what this wine will be in another 5 years. I am continually struck by the power of this vintage. Very limited availability from our library selections.